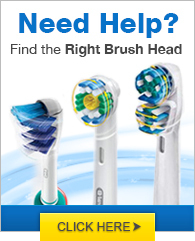 The Oral-Precision 4000 Professional Healthy Clean rechargeable toothbrush has a unique ProWhite brush head that provides whitening and superior cleaning with 4 cleaning modes. It has advanced polishing to remove tough surface stains. The ProWhite refill brush head has Indicator bristles which fade half-way to indicate when to replace brush head for better cleaning. Also there are 4 cleaning modes, in handle display with charge level display, and portable charging station. The Oral B Precision 4000 has many exciting features for users of all types. 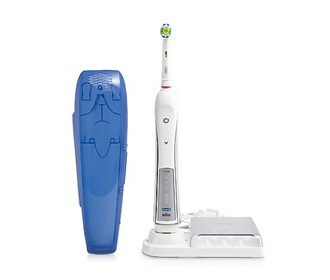 See the Oral B Precision 4000 gallery images above for more product views. FactoryOutletStore stocks a full line of accessories like BreathRx Antibacterial Mouth Rinse, BreathRx TongueScraper, and BreathRx Whitening Toothpaste for the Oral B Precision 4000. The Oral B Precision 4000 is sold as a Brand New Unopened Item.